Aerial Dance brought the Aerial Arts and Aerial Yoga to Appleton, Wisconsin in 2014 with our gorgeous aerial studio housing poles, aerial hammocks, lyra/hoops, and silks. Class curricula change daily so you always get a new challenge and exciting workout! Our aerial program is sequential so you can be confident that any of our Beginner classes are appropriate for the novice with no prior experience. Our class sizes are intentionally small – pre-registration is required before attending to ensure you have an apparatus. These classes are open to all adventurous women and are one hour. Aerial classes can be taken as a “drop-in” meaning there is no set number of classes you have to take when registering. Take a single class for $25, or buy a 5-class punch card for $100. Want to come often? Take 4 or 8 classes a month at a discounted rate with a Fitness Membership or become an Aerial Member for 6 or 12 months for HUGE savings and unlimited classes! Not sure where to start? 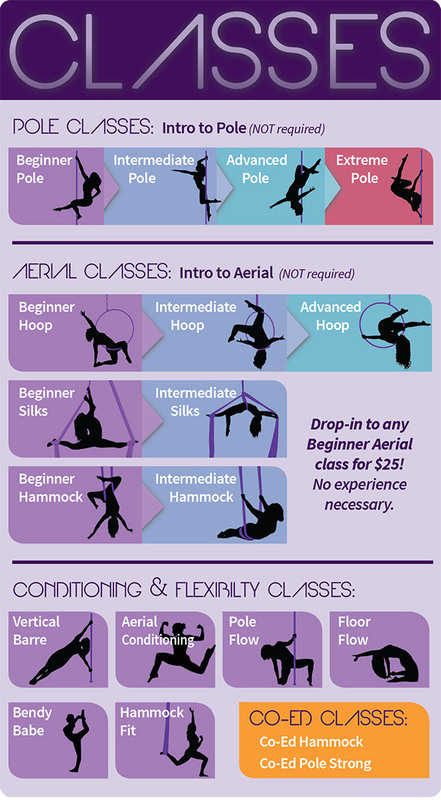 Try an “Intro To Aerial” class! This 60-minute one-time $25 class will give you a taste of Hammock, Hoop and Silks! Start your Hammock journey! Learn gorgeous poses and basic inverts. Improve your flexibility, balance and upper body strength while wrapping yourself between the strands. Fill out a card with all the moves you’re learning to track your progress. No Prerequisites! No prior experience needed! Come Fly! Start your Hoop journey! Learn basic mounts, transitions, spins and lots of gorgeous poses. Improve your flexibility, balance, and upper body strength while spinning in the air. Fill out a card with all moves you’re learning to track your progress. No Prerequisites! No prior experience needed! Come Fly! Start your Silks journey! Learn climbs, locks, holds, multiple ways to enter straddle back, leg hangs and lots of cool tricks. Increase your grip and upper body strength while defying gravity. Fill out a card with all moves you’re learning to track your progress. No Prerequisites! No prior experience needed! Come Fly! Not sure which apparatus you want to take an hour class on? Want to try all three? 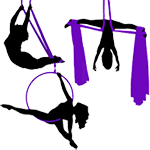 This 60-minute, one-time class will get you flying on all three apparatus: Hammock, Hoop & Silks! 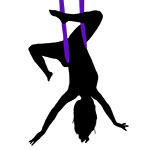 The cost is $25, current Pole Members receive a $10 discount. Get a taste of the fitness and fun of the aerial arts! No Prerequisites! No prior experience needed! Come Fly! 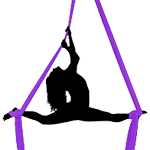 We also offer Intermediate and Advanced level aerial classes. Contact the studio for entry into any of our upper level classes.